Top 100 public-listed companies in Malaysia on the other hand, currently stand at 24.4%. The under-representation of women goes beyond general concern for gender equality. It is a critical business growth issue. A growing body of research; including studies by McKinsey & Company has suggested that companies with more women in senior executive and board roles have advantages over those that don’t. These studies also indicate that having women in the boardroom can facilitate better-informed decision-making, new ideas, increased understanding of stakeholders, more engaged workforce, enhancement of industry reputation and so much more. In the current challenging economic climate, businesses are in dire need of the brightest minds and the most dynamic thinkers to take their businesses forward. Women are essential to help diversify the boardroom. It is definitely the right thing to do but general conviction alone isn’t sufficient. What’s essentially missing is a sheer sense of urgency. Everyone believes that progress is being made, but often rely on others to lead the change. Diffusion of responsibility in which the greater the number of people present, the less likely people are to intervene. In a large network, it is less likely that an individual will take responsibility for an action/inaction. Social influence in which individuals monitor the behaviour of those around them to determine how to act. The trap of inaction described by the bystander effect has severe lasting implications as individuals are relinquishing responsibility to address fundamental matters of concern. Yes, meaningful change will only come when leaders make fewer excuses to support and take the agenda forward. However, it is also important that as women we consciously take charge of our own progression and do ourselves some justice by leading the way instead of waiting around for change to happen. As Gandhi stunningly said "be the change we wish to see in the world". Only then can we inspire other women to also tread the same path. So, besides the “bystander effect”, why else is the percentage of women on board still not gaining as much traction as it should? Why are boards finding it difficult to engage women directors? Where are these qualified female candidates? What’s holding them back? 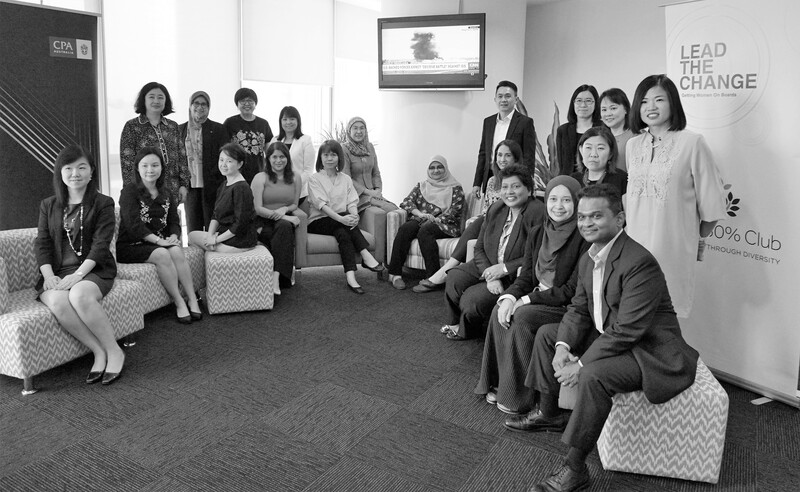 To support the Malaysian government’s initiative, the 30% Club Malaysia Chapter is continuously intensifying its efforts to building a pipeline of board-ready women through Board Mentoring programs by identifying women at an early stage. This time around, we identified top Chief Financial Controllers under CPA Australia. 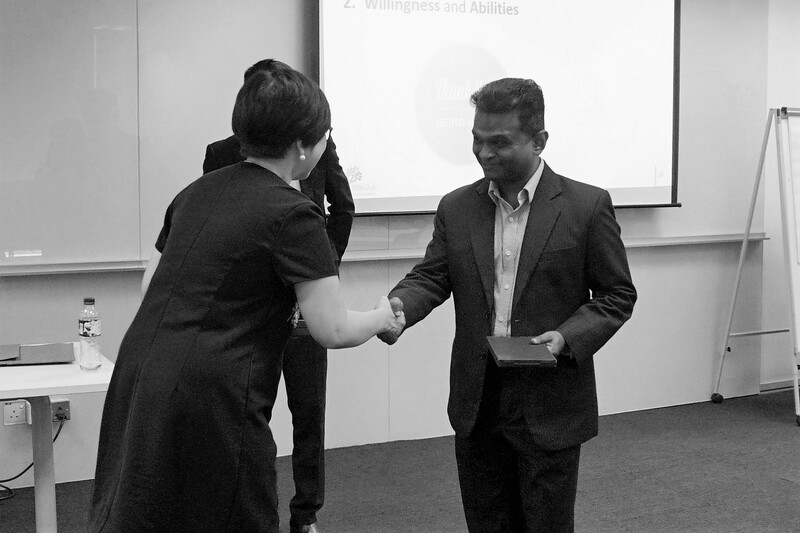 As we nurture and develop this supply chain of female talent, Pun Tian Piow (better known as TP) of TPPun Advisory and Raj Kumar Paramanathan of IRC Malaysia and Thailand (CnetG Asia) discussed the roles, responsibilities, challenges and qualification criteria for board members. TP and Raj also shared some of the self-limiting barriers that impede women’s ability to conceive themselves in the spheres of corporate boards. Many women I have been fortunate enough to cross paths with are mothers, who spend their time prioritizing their kids, families, teams, colleagues, business partners and basically everyone else around them first before even giving themselves permission to love and invest in themselves. We seem to have to this mental block that prevents us from tending to ourselves and our own needs, which inadvertently affects our personal and professional lives. At work, we may not highlight ourselves as experts in our fields. We feel somewhat uncomfortable in being in the limelight, so we try to share it with everyone else. We highlight our teams, or worse, we just shrug it off and make the entire thing about the service or something else and not about us as the experts. We need to recognize that there is a clear distinction between understating ourselves and being humble. A woman’s unconscious belief that it is a “man’s world” out there is also possibly one of the biggest contributing factors as to why women hold back. There is this underlying assumption that we need to take on more masculine characteristics to succeed in leadership roles otherwise those leadership positions belong to men who are more outgoing and powerful. We also have this mental checklist of what we perceive to be the complete set of traits required in order to qualify for the board. These beliefs cause us to doubt our own capabilities. So, when presented with career progression opportunities, our first thoughts would be: “I doubt I’m ready for this. I’m sure there are more qualified people for this position.” We are constantly wrestling with our own feelings of inadequacy instead of embracing the advancement opportunities. On the other hand, we also have highly capable women voicing worthy ideas. However, often they are either barely heard or simply judged as overbearing. When a man says virtually the same thing, heads nod in appreciation for his supposedly fine idea. As a result, women often decide that saying less is more; thus projecting themselves as lacking in confidence, motivation and leadership qualities. Women, therefore, need to find the perfect balance between being assertive and being strategic with their approach. The reality is that women are harder on themselves than on anyone else. We feel the need to do it all; to be successful and a subject matter expert at work, look like a “Stepford wife”, have kids with straight A's in school, and if we fail at all of the above-mentioned tasks, we cannot in any way lead others, not to mention being on corporate boards. There is a constant internal struggle between who we really are and who we expect ourselves to be. We don’t give ourselves any allowance for vulnerability. We can only make decisions when we have sufficient information present. While tenacity is one of those respectable qualities under certain circumstances, as one sitting on a corporate board, women need to have a high tolerance for ambiguity because more often than not, they may be compelled to make tough decisions with limited information. Many women are often less networked compared to their male peers. Research shows that most talented women do not invest time increasing their visibility through networking and mentoring others on the basis of work-life balance or prioritizing family time. While the lack of widespread public recognition may not be a reflection of their contribution, the reality is that most board positions are advertised through “word of mouth.” This is where the importance of networking is primarily recognized. 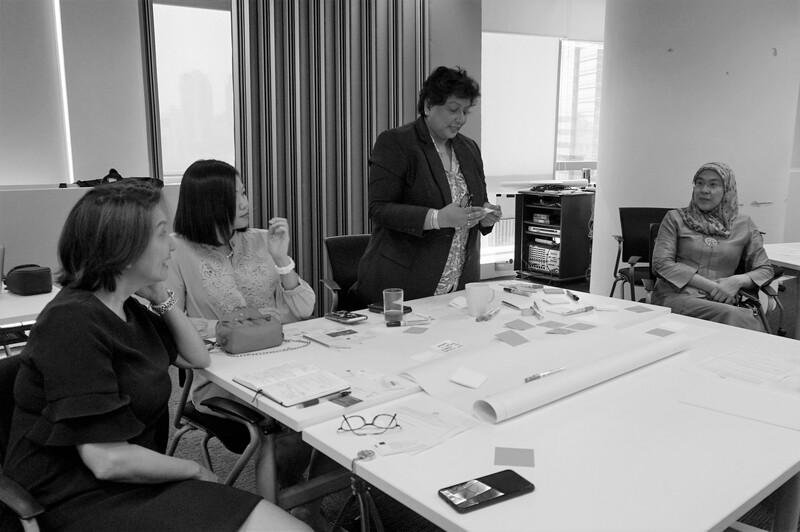 In order to grow the female talent pool for boards, these women need to fully optimize their skills and grasp progression opportunities by fully utilizing their existing connections and continuously building new networks. Nurturing relationships based on trust as necessary because by working together and providing mutual support, work relationships are developed and sustained. As women, we really ought to learn to increase our self-awareness in order to embrace our uniqueness and believe in ourselves. We have to be able to invest in ourselves without feeling like we sacrificed something in our journey. That said; women should not aspire to completely change their personalities in order to be successful on corporate boards. We should always aspire to be true to our principles. Yes, all industries have norms and expectations, however, it takes strength to not allow yourself to be shaped by the commercial drive, but rather draw on your principles to help try and shape it.